Download of all Versions the solution for Windows 10 Pro or Home, x64 or x32 with the famous MS-Windows MediaCreationTool! Alternative ... Windows 10 1803 English B17134! Info: The Download with Media Creation Tool works only on Windows 7 or Windows 8.1 / 8. 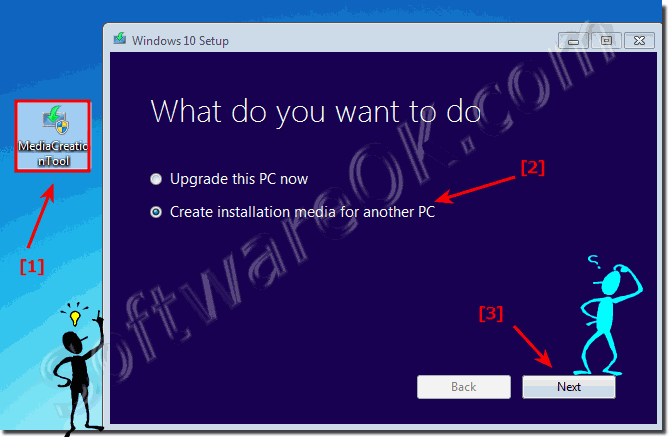 (Image-1) Upgrade to Windows 10 or create installation Media! (Image-2) Select Windows 10 language, edition and x64 or x32 architecture! 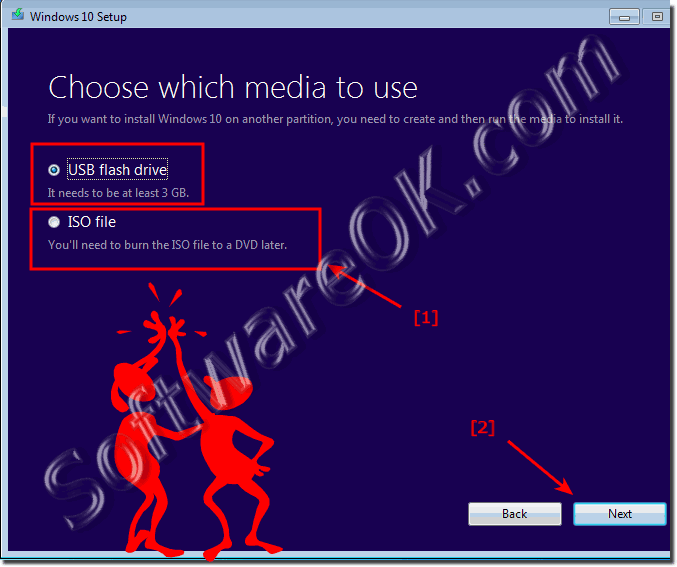 (Image-3) Create Windows-10 USB Installation Stick or a ISO file! Windows-10 - FAQ-120: Download Windows 10 all Version with Windows MediaCreationTool?